If you are nervous about having dental treatment, sleep dentistry may be just what you need. Fear of the dentist is quite common and due to this fear, people neglect their oral health. Happily, this fear can be overcome through a procedure we offer called intravenous (IV) sedation, also known as sleep dentistry. IV sedation is a very efficient, safe, and effective way of providing profound anxiety relief and pain control during any dental procedure. We are one of the very few dental clinics that offer sleep dentistry in Adelaide. While under IV sedation, most patients experience a state of deep relaxation and partial or full memory loss for the period of time from when the drug starts to work until it wears off. IV sedation is performed here in our surgery by a qualified anaesthetist accompanied by a registered nurse. X-rays are a vital part of diagnosis and treatment in oral health. They allow a dentist to view structures that are not visible to the naked eye because they are between teeth, under soft tissue, or within the bone. Without x-rays, some conditions cannot be detected or diagnosed. You should get a dental check-up every six months. People at greater risk for oral diseases should have dental check-ups more than twice a year. Going to your regular check-up will help to keep your gums and teeth healthy as well as detect any early problems such as cavities. The best way to prevent bad breath and periodontal (gum) disease, which has been linked to heart disease, is to visit your dentist on a regular basis. Is having a healthy mouth really that important for general health? Another good reason to visit your dentist is that recent studies have shown that maintaining good oral health helps prevent cardiovascular disease or strokes. An Australian study noted a significant reduction in the risk factors for cardiovascular disease following treatment of severe gum disease. Even more interesting, a Canadian study has shown that chemicals in red wine help prevent and treat gum disease, and reduce the risk of heart disease. So with a little help from your dentist and a glass of red wine, you are more likely to be merry and live longer. How will my pregnancy affect visits to the dentist? During pregnancy the change in hormones increases the blood flow to the gums causing them to become inflamed. So it is important to have good oral hygiene and visit the dentist for a routine check-up and cleaning. The safest course of action is to postpone all unnecessary dental work until after the birth. If dental work is done during pregnancy the second trimester is ideal. However, sometimes emergency dental work such as root canal or tooth extraction is necessary. Does diabetes have an effect on oral health? With diabetes there is a thickening of blood vessels. This can impair the flow of nutrients and removal of wastes, which can weaken the gums, making them more susceptible to infection. In addition, if diabetes is poorly controlled, higher glucose levels in the mouth fluids will encourage the growth of bacteria that can cause gum disease. So, for diabetics regular dental check-ups are vital. Research suggests that the relationship between periodontal disease and diabetes goes both ways. Periodontal disease may make it more difficult for diabetics to control their blood sugar. When should I consider antibiotics? The mouth is full of bacteria, which remains harmless while it is inside the mouth. But complications can occur if this bacteria enters the bloodstream through the gums. 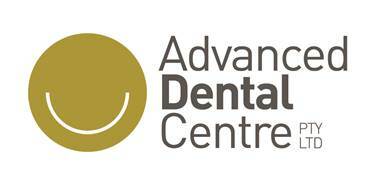 If you have a heart murmur, heart valve replacement or artificial joint (such as knee or hip replacements) Advanced Dental Centre will prescribe a course of antibiotics before a major dental procedure. This will prevent bacteria from lodging in the problem area. Many people have jaws that are too small to accommodate wisdom teeth. So if all the other teeth are present and healthy there may not be enough space for the wisdom teeth to come through properly. If part of the wisdom tooth has appeared through the gum and part of it is still covered, the gum may become sore and swollen, known as pericoronitis. If the problem persists, it may be better to have the tooth removed. Wisdom teeth are best removed at a younger age because younger patients have a faster healing capacity, and softer bone allowing for easier removal. This is not to say that wisdom teeth cannot be removed much later in life, but there is an increased risk of complications.